East Wind Pot are a keyboards/woodwinds/bass/drums quartet from Japan and this is their debut album. The band are firmly in the progressive rock inspired 70's influenced jazz fusion realm. The promo sheet cites Weather Report, Brand X and Chick Corea as analogies, though I'd also throw in Soft Machine and a wee bit of an ELP sound can be heard in the keyboards at times. In fact, keyboardist Yuko Tsuchiya can be counted on for a variety of sounds, giving the music a more overt progressive rock feel at times, and an organ sound that's sometimes more purely rock, which sounds especially tasty combined with Daisuka Yamasaki's clarinet and saxophone. Throughout the album the interesting stylistic variety really held my attention. East Wind Pot are always at some point on the progressive rock, fusion and even free-jazz axis, but however standard the use of prog and fusion together may be at this point, the band excel at exploring and blending various elements of these styles. My favorite tracka of the set are "Minotaurus" and "April Dancer", both of which feature the band alternating between rocking free-jazz jams, high energy prog and fusion, and mellow melodic progressive segments. Definitely the hottest numbers of the set. 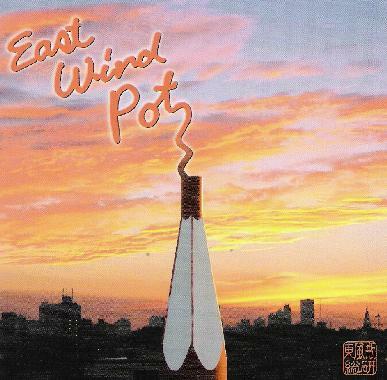 In summary, East Wind Pot's debut offers a diverse assortment of music that fans of 70's influenced jazz fusion and related progressive rock will surely enjoy.